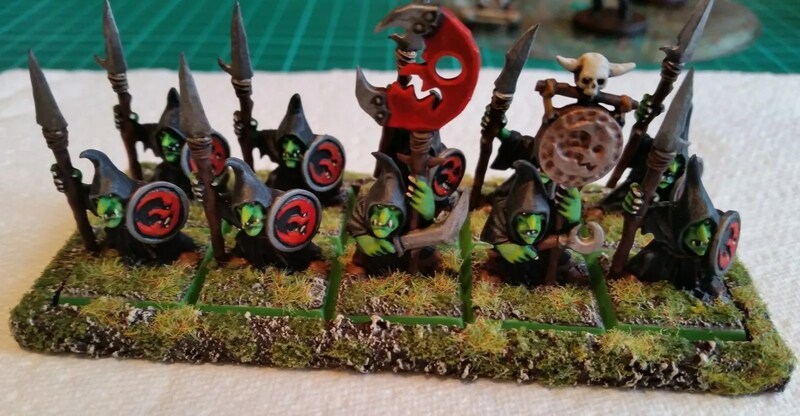 I finished the last few (small size) Night Goblins which will be added to make my horde of 40 Kings of War Sharpstick goblins. I’ll photo the whole horde of 40 on their real movement tray when I get chance, rather than using the phone camera while they’re on the paint table. Now…. 2 more weeks of hellish work and then a week off. Hopefully I’ll get some hobby time that week.